Germany is an amazing place to visit. Why? In the fall, you can check out the world’s largest beer festival in Munich, Oktoberfest. In the winter, there are Christmas Markets selling gingerbread cookies, mulled wine and holiday gifts. There is stunning nature for outdoor activities: lots of forests, mountains and lakes where you can hike, bike, kayak, climb and swim. The traditional food is hearty and delicious: feast on pretzels, sauerkraut, sausages, potato dumplings, cheese noodles and roast ham. 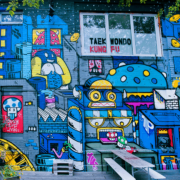 If you’re into city life, nowhere has better underground clubs and restaurants than Berlin (and don’t forget the city’s hugs tech/start-up scene). See what it looks like: GERMANY PHOTO GALLERY. Check out our OKTOBERFEST ITINERARY for amazing activities and great places to eat and drink. ⭐ Oktoberfest. Each September (we know, who would’ve thought Oktoberfest is in September?) Munich hosts the world’s largest beer festival. Over the course of two weeks, millions of people gather in Munich to put on traditional German dress (drindls for women, lederhosen for men) and drink a lot of beer. The tradition dates back to 1810 and the festival offers tons of traditional German food, games and live music in addition to the beer tents. See the Travel Honey Oktoberfest Itinerary for the best plan of action. Berlin. Visit Berlin, Germany’s capital, to see the best of contemporary Germany. The city is filled with hip, new restaurants, bars, music venues, art galleries and museums. It’s also the seat of government and a hot spot for Germany’s tech and start-up scenes. Munich and Bavaria. Visit Munich and the surrounding Bavaria region to see traditional, alpine Germany. Don your lederhosen and drindls, hike in the mountains, swim in the cool lakes and sing German beer songs. WHEN’S THE BEST TIME TO VISIT GERMANY? Germany is a good year-round destination and it depends on what you’re looking to get out of the trip. The spring, summer and fall perfect for exploring the cities and countryside as temperatures are mild. In the winter you can bundle up to explore the cities and stay warm as you sip on gluwein and snack on warm gingerbread while exploring the Christmas Markets. In Berlin, the average high temperature in February is 39F and in July, it’s 73F. If you’ll be in Germany for under 90 days, a visa is not required for U.S. and most European citizens. From the U.S, your passport must be valid for at least six months beyond your planned date of departure and you must have two pages for each entry stamp. Additional information from the U.S. State Department about Germany, including travel requirements, is located at travel.state.gov. Find visa and passport requirements for other countries here. HOW DO I PAY FOR STUFF? ATMs/Credit Cards: Cards are accepted everywhere. Cash is great for purchases from small shops and tipping. Tipping: Like most European countries, tipping is 5-10% (10% when there’s heavier service involved) in restaurants. Sausages – Made from pork and/or beef, the sausages come in tons of different colors and sizes (based on what region of Germany you’re located in). Boiled or grilled, sausages are generally served with potatoes, cabbage and mustard. Sauerkraut – Tasty chopped and fermented cabbage. Can also be cooked and served warm. Schnitzel – Piece of meat (usually pork) that has been pounded to tenderize it and then breaded and fried in oil. Schweinshaxe – Grilled ham hock. Knodel – warm potato dumplings. Spatzle – noodles generally mixed with cheese. Black Forest Cake – Decadent chocolate cake with cherries and whipped cream. 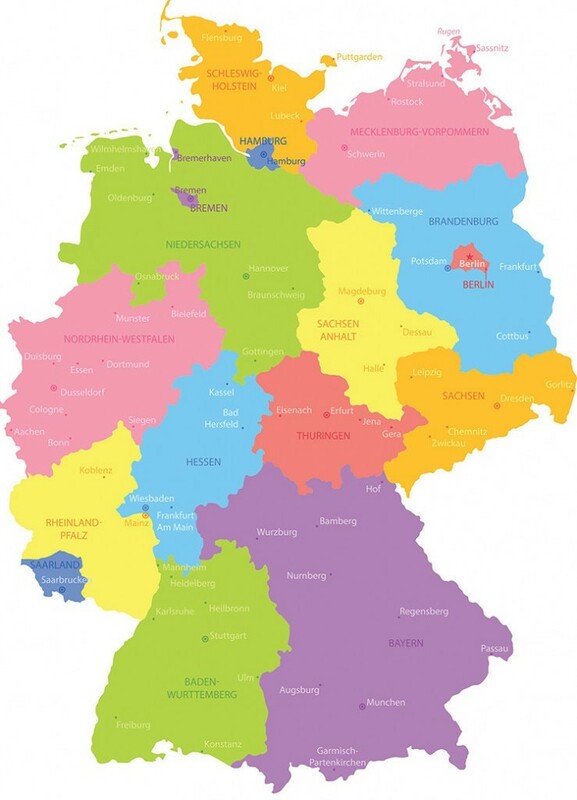 HOW DO I USE MY CELL PHONE IN GERMANY? Cell phone service is excellent in Germany. Check your U.S. carrier for their international rates and read the Ultimate Guide to Using Your Cell Phone Abroad for more information. WHAT SHOULD I READ, WATCH AND LISTEN TO BEFORE THE TRIP? Listen to electronic beats by Kraftwerk. Read about the dark part of Germany’s history in Anne Frank’s The Diary of a Young Girl. Watch Toni Erdmann, a film about a father-daughter relationship nominated at the Cannes, Toronto and New York film festivals. HAVE AN AMAZING TIME + SAFE TRAVELS. Read the latest tips from travelers and locals below. SEARCH HINT: Enter text (e.g. a destination) and/or choose a tag in the dropdown, then click SEARCH.